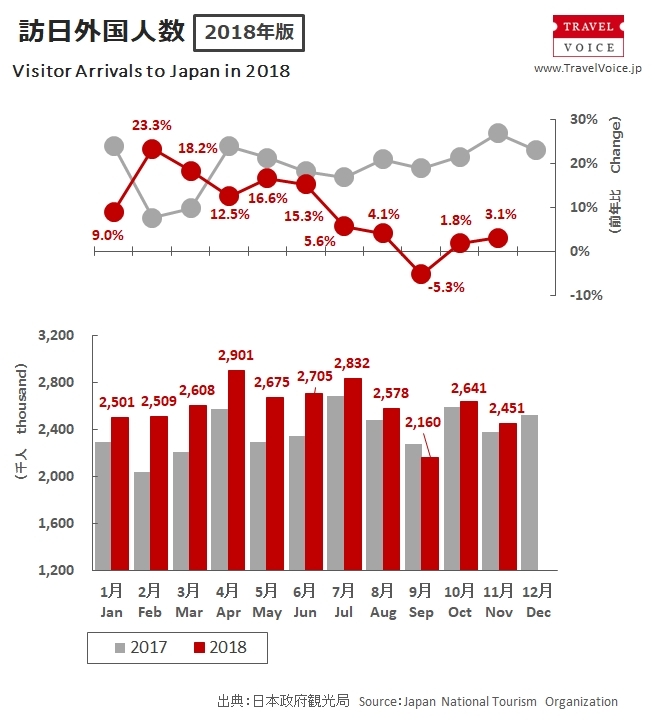 Japan National Tourism Organization (JNTO) reported that the number of international visitors to Japan was up 3.1% year on year to 2,451,000 in November 2018, which were record-high for November. The total for the first eleven months of 2018 was accordingly up 9.1% to 28,560,100. 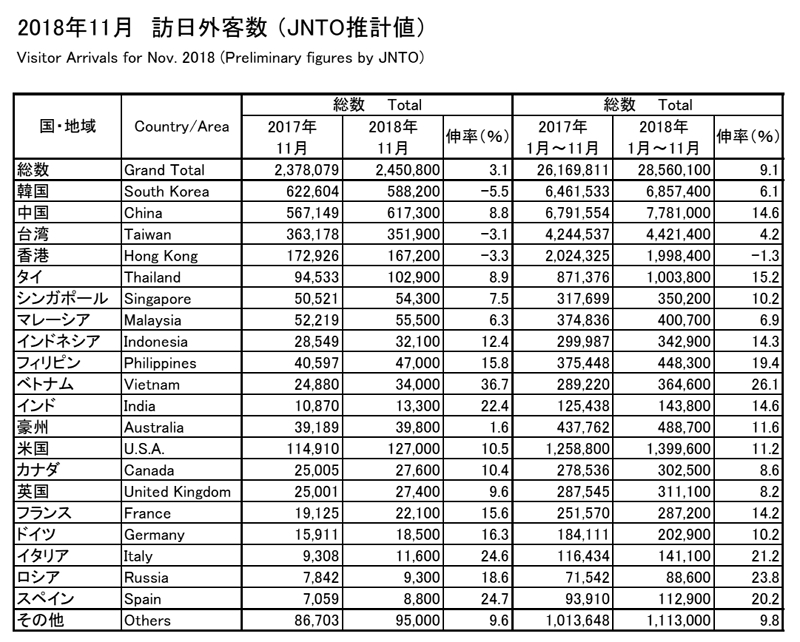 JNTO revealed that the total result as of December 18 2018 was over 30 million for the first time. By market, China stayed top with 617,300 visitors (+8.8%), followed by South Korea with 588,200 (-5.5%), Taiwan with 351,900 (-3.1%) and Hong Kong with 167,200 visitors (-3.3%). Visitors from the four markets accounted for 70% of the total. Visitors from 12 target markers (China, Thailand, Philippines, Vietnam, India, U.S.A., U.K., France, Germany, Italy, Russia and Spain) already exceeded the last year’s annual results. 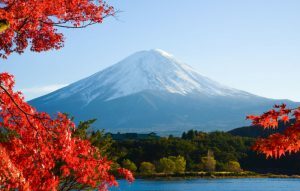 JNTO explained that hesitations to travel in Japan were found in Korea, Taiwan and Hong Kong because of a series of natural disasters in Japan. In U.S. and Europe, an increase in cruise ship visitors and effective promotional campaigns boosted the markets.